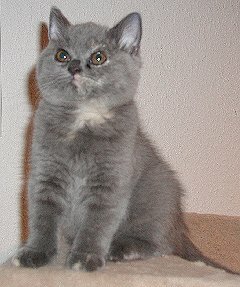 The British Shorthair is medium to large in size, the body is short (called cobby). Legs are short and strong. Bone structure is very solid. The head must be round, the skull is broad with a well rounded forehead. The ears are rather small and set wide apart. The nose is broad, straight and has a slight indentation between the eyes, but not a stop like the Exotic. The eyes are large and round and set wide apart. 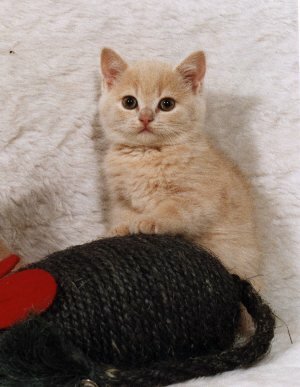 Eye colour is different on different coat colours: Orange eyes are found in solid colours, tabbies , white, smoke, bicolour. Blue eyes are found in white, bicolours and colourpoints (but bare in mind that the blue of a colourpoint is genetically different from the blue in a white cat!). 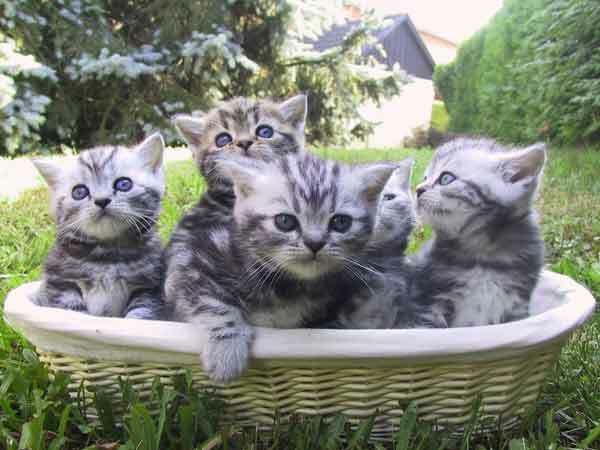 Green eyes are found in black/blue silver shaded and silver tabbies. The jaws are broad, bite is level. The coat is short - when you hold the coat between 2 fingers the hairs should not stand over the fingers too much - with very dense undercoat. When you touch the coat it should be firm, it should be crispy - simply to test is to stroke the coat on the back towards the head, if the hairs remain standing up like a comb the coat texture is correct, if not the coat texture is incorrect. The coat is not permitted to lie flat, it must stand up (because of the dense undercoat !). The tail is short and thick, the tail tip is rounded. Solid colours as black, blue, chocolate, lilac, red and cream. Tortie colours as black tortie, blue tortie, chocolate tortie, lilac tortie. 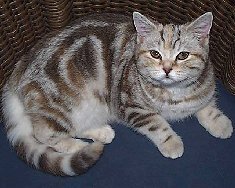 also with silver, then they are called silver tabby. Colours with silver, as smoke, shaded and shell (chinchilla). Bicolour patterns, i.e. all the colours above with white. 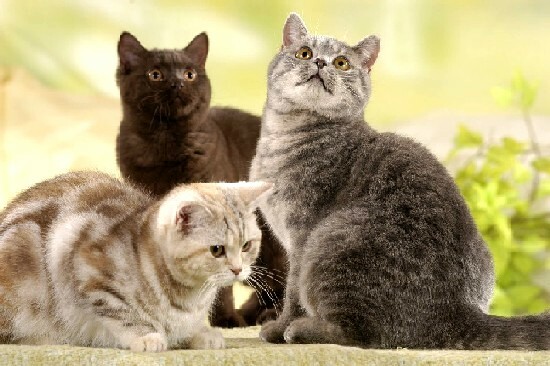 The British Shorthair is already mentioned in one of the first books giving a good overview about the different breeds which was issued in Britain in 1889 and the cats were shown in that famous show at Crystal Palace in 1871. 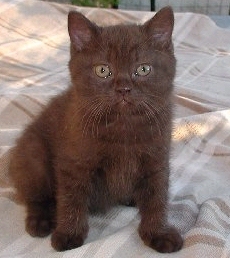 In the early days British Shorthair had not been separated from the European Shorthair cats, but British breeders made a lot of efforts during the fifties to develop a separated standard for the British. 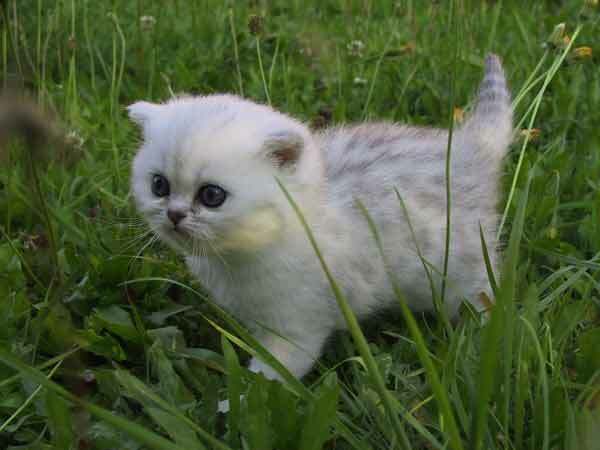 Due to World War II the breed was decimated and breeders made outcrosses with Persians which led to a longer and softer coat because Persian breeders enforced the polygenes for a full and soft coat. 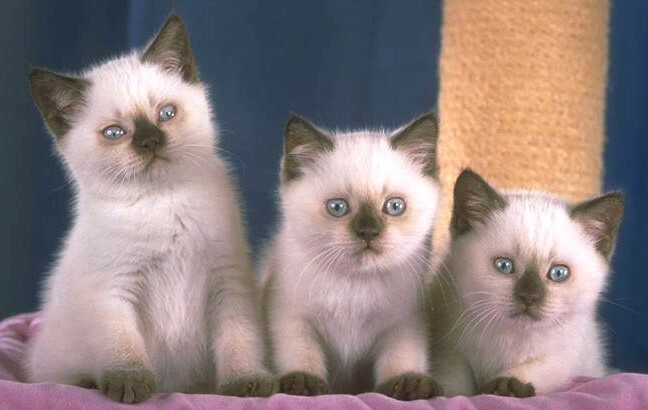 In our days a lot of new colours were bred like chocolate and lilac British, originating from the Siamese, or the colourpoint British resulting from outcrosses with Exotics or Persians. But in all cat federations it is agreed that the head of a British should clearly differ from that of an Exotic, the nose is not permitted to show a stop and the coat of a British is firm to touch and must be shorter than that of an Exotic. 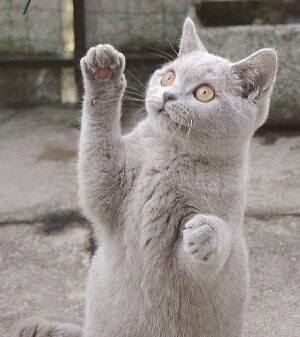 The British Shorthair are independent, yet very affectionate to their people. They follow them around the house to make sure that everything is done right. Males are very people oriented. They are like little Teddy bears, extremely quiet, rather little talking, but they still very alert and can be sometimes quizzical. Everything is done cautiously, they are not seriously in a hurry. 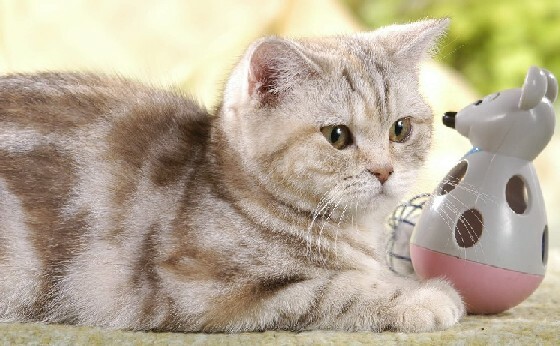 They make ideal pets for less active owners as well as for rather busy households. 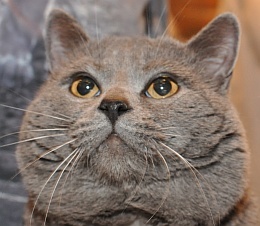 The British Shorthair is an easy going cat, their coat does not tangle and has no tendency to get filthy or knotted. They do not need to be bathed or excessively groomed. Their coat should be lightly combed from time to time to get rid of old and dead hairs.